Thank you for info Rod! green wooly buggers work for me. 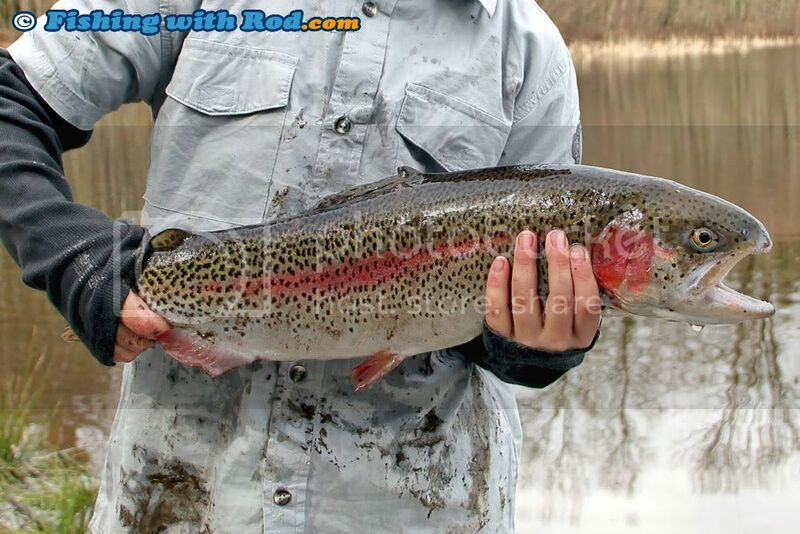 Self-bodied carey specials and leeches will pick up these trout for sure! If you're chironomid fishing, try sno cones (black and red rib) and pornomids. Rod any reason the hatchery decided to stock Rolley so early? Seems odd to stock the lake when the park/gate isn't really open for another 3weeks. I'm not sure, will ask when I get a chance next time. And yes, the gate will remain closed until April 1st. No stockings are planned for this week but some are for next week. Any chance that Sasamat or Buntzen will be stocked next week? i should be given a stocking plan either tomorrow or Monday for next week, will update when that happens. We were filming for GoFishBC today at Green Timbers and little kid beside us pulled this out. His biggest fish ever so imagine the excitement. On a related note, everyone should check out the new Go Fish BC website.